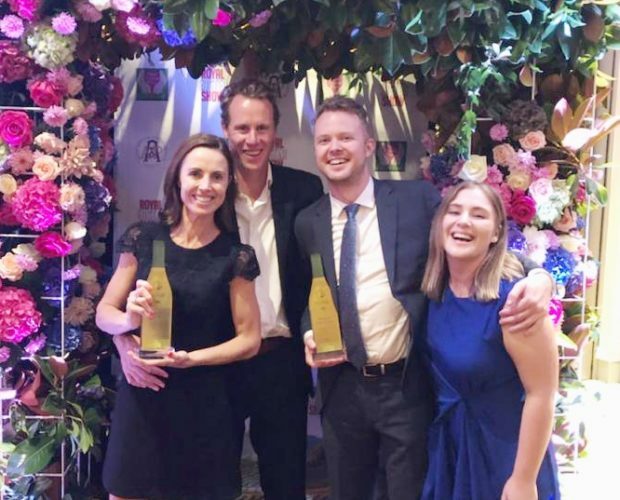 Two Rivers Chardonnay wins Trophy at the Royal Easter Show Wine Awards 2019. 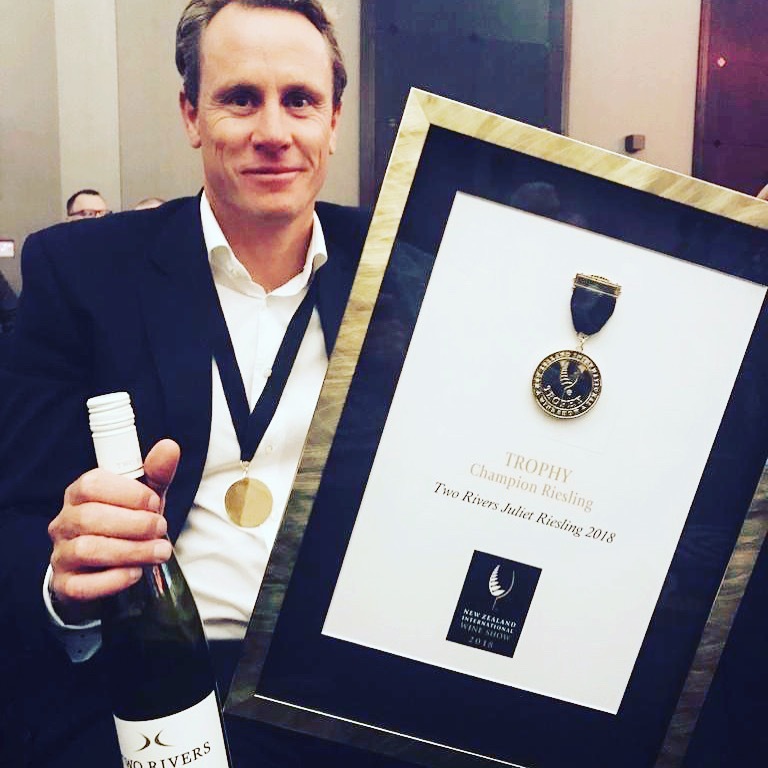 Two Rivers Clos des Pierres Chardonnay 2017 has just won Champion Export Trophy at the Royal Easter Show Wine Awards 2019. To qualify for the Champion Export Wine Trophy, the wine must have won a gold medal at the show, be produced in a minimum volume of 500 cases and be exported to four or more countries. Painting the Polo Scene Pink! 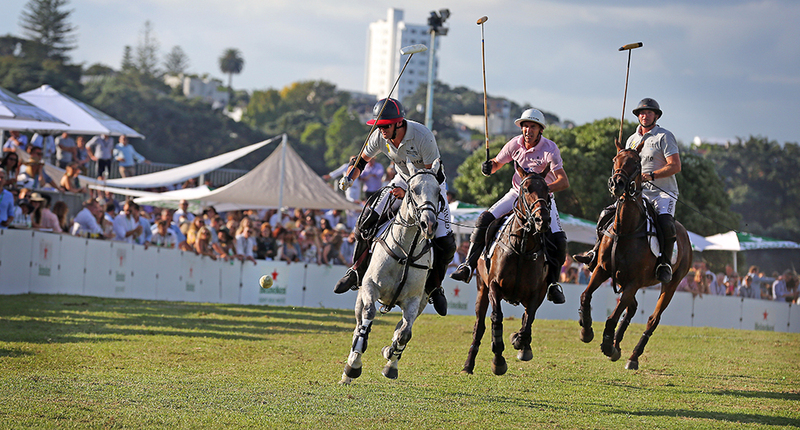 Two Rivers is set to paint polo fields pink at Singapore, Christchurch and Auckland this year. The Heineken Urban Polo events, known as ‘the hottest urban sporting and social events of the summer’ are a fusion of sport, music, wine and fashion all colliding in the city. Two Rivers will be right there, pouring their wines. Besides that showcasing their highly celebrated Two Rivers Isle of Beauty Rosé to the elite polo world. “With Auckland, Christchurch and now Singapore polo events announced, the energy level is at fever pitch. Furthermore the Singapore event highlights the glamour, intensity and pace of the sport in this high energy city. Taking our Two Rivers Isle of Beauty Rosé to the world in this polo scene is a real privileg. 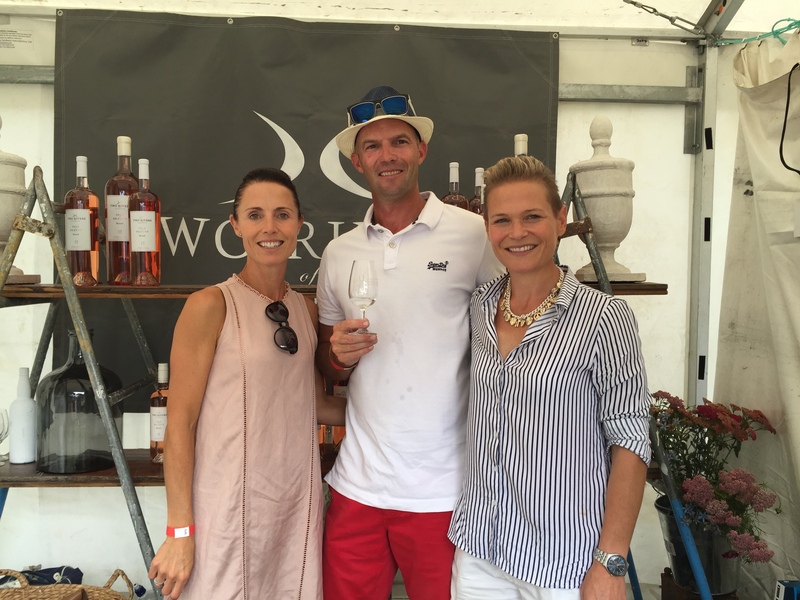 Our rosé will be there alongside the best in the world, painting the polo scene pink”, says Jason Yank, Two Rivers Commercial Director. 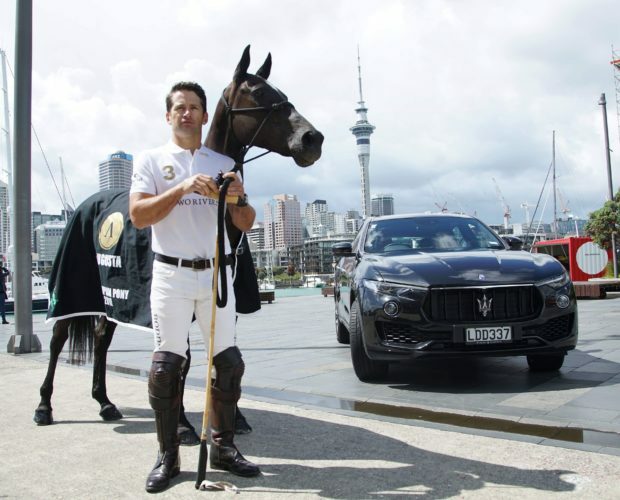 Visit: http://www.urbanpolo.co.nz for more information. 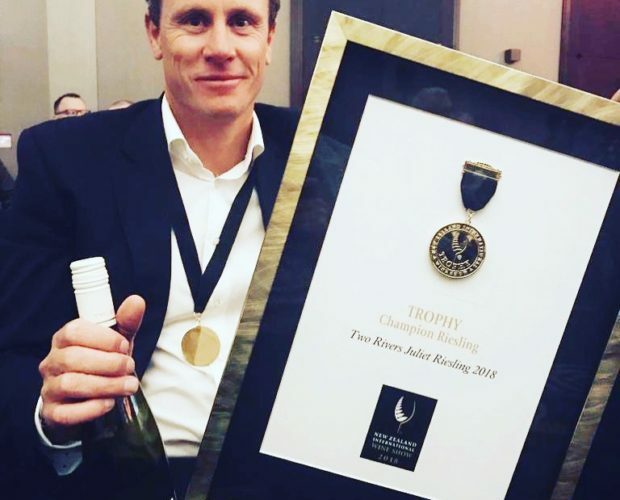 Juliet Riesling 2018 has just won the Champion Riesling Trophy and Clos des Pierres Chardonnay 2017 has won a Gold Medal at the New Zealand International Wine Competition in the weekend. The Juliet Riesling, named after founder and winemaker David Clouston’s mother, is a medium dry style. This delicate wine is clean and fresh, packed full of lemon honey and apricot notes. The Clos des Pierre Chardonnay is a racy and delicious wine which is unfined and unfiltered to retain great character and depth of flavour. The NZ International Wine Show judging team in 2018 was the most experienced ever assembled for a wine competition in New Zealand and was led by senior wine judge Bob Campbell MW. The Champions List and Trophies of the show were announced at a special awards dinner, held in Auckland on Saturday 13th October. 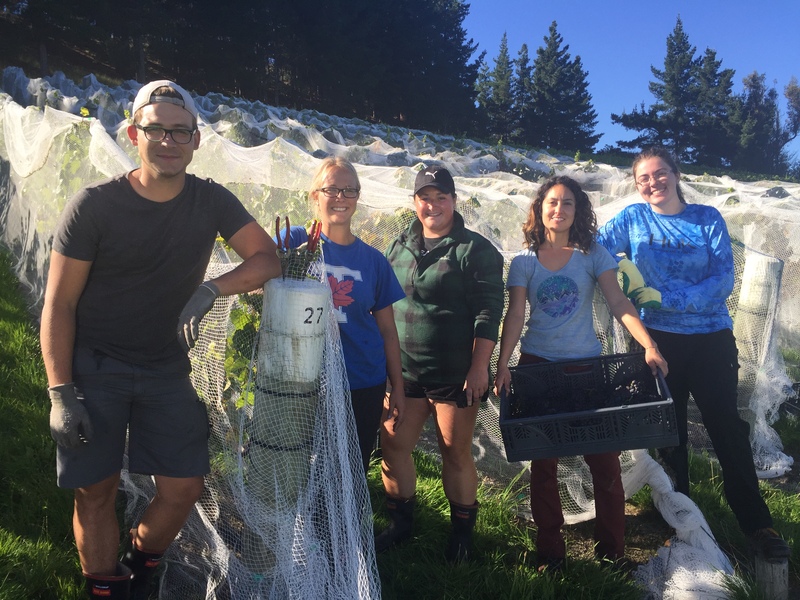 The proliferation and exploitation of Marlborough Sauvignon Blanc in recent times has spurred a group of local winegrowers to come together to protect the integrity, authenticity and brand value of Marlborough wines. Initially focused on Sauvignon Blanc, Appellation Marlborough Wine (AMW) is an initiative comprised of 45 members. *Each year the organisation decides on an appropriate cropping level, expressed as tonnes of grapes per hectare. If grapes used to produce the certified wine do not comply with the appropriate cropping level, then the winery may submit the wine with any necessary supporting evidence to the AMW wine tasting panel which at its absolute discretion may permit that wine to become certified. Members can communicate their association by applying the AMW logo to labels and promotional material. 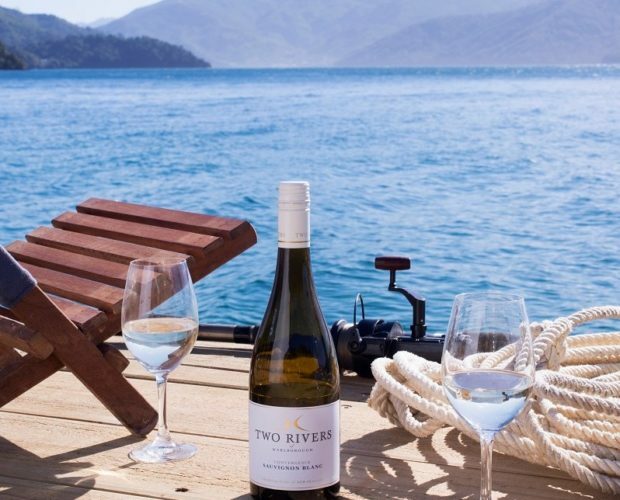 Two Rivers is using the AMW logo on their Sauvignon Blanc back labels from the 2018 vintage onward. An ideal flowering period was followed by the hottest January on record in Marlborough. All indicators were leading to a solid harvest with quality fruit and plentiful yields. Unfortunately Mother Nature took a turn for the worse and unleashed the wettest February on record – with Cyclone Gita causing the most damage. These significant rain events, combined with unseasonal warm nights provided conditions for disease infection in our grapes. All this lead to an early harvest. We picked our first block of Pinot Noir on the 14th March, two weeks early. Despite low sugar levels, the fruit flavours were intense and delicious, helped by low acids due to warm nights. After a frantic and sometimes hectic four weeks, all of our grapes were safely tucked away in our new winery: The Wine Studio, by 11th April. This early and rapid harvest made for an incredibly intense vintage, with most varieties ready to be picked at the same time. Fortunately most of our vineyards are planted on exceptional sites – this, aided with motivated staff, and having our own winery meant we were lucky enough to produce distinctive, quality wines in 2018. 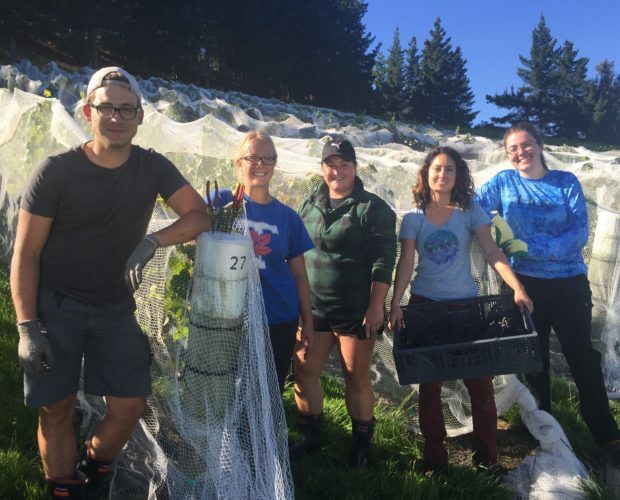 “This was the perfect season to test out our new winery and the level of flexibility and control we had over the intake of our grapes was priceless.” notes Winemaker and Owner Dave Clouston. A momentous 6 months at Two Rivers – we’ve built a winery! After Dave Clouston established Two Rivers in 2004 and purchased his first vineyard, Brookby Hill, in 2016, he has now topped off the brand with a brand new, state of the art winery. The Wine Studio, situated between Marlborough’s two main valleys; The Wairau and Awatere, at Cloudy Bay Business Park, is still currently in phase one, allowing us to process approximately 500 tonne this harvest. Phase two will be completed in time for harvest 2019 and will bring our capacity up close to 1,200 tonnes. “Having our own winery has given us more control over the winemaking process. It has enabled us to be more attuned to the wine, practice intuitive winemaking and be more reactive. It’s a super exciting time for Two Rivers.” notes Dave. 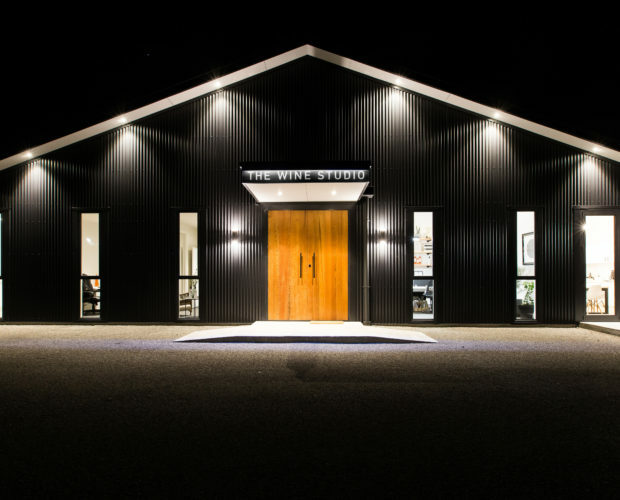 The Wine Studio will not only be the Two Rivers winemaking hub, it will also act as Two Rivers HQ. The team is excited to have a new home and be all housed together. The Wine Studio will also operate as a contract winemaking facility for a few of our close friends and we’re delighted to share the new facilities with likeminded winemakers from across our great region. What a festival – The entertainment, crowd, cuisine and delicious wines really turned it on for New Zealand’s best and longest running wine and food festival. The Marlborough Wine and Food Festival is a true highlight on the calendar for the public and for us at Two Rivers. It gives us a chance to relax and enjoy each other’s company while sampling some of the best wines, local produce and world famous entertainment on offer. You’ve probably already established, we don’t do things by halves at Two Rivers! 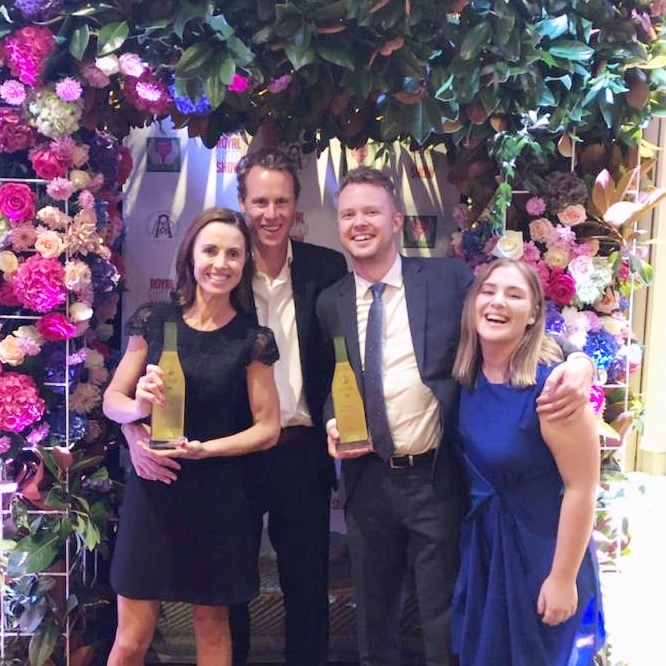 So it was no surprise that we not only took out the best site, out of over 50 winery sites, but we also won the window display competition in conjunction with our good friends at Thomas’s Department Store. 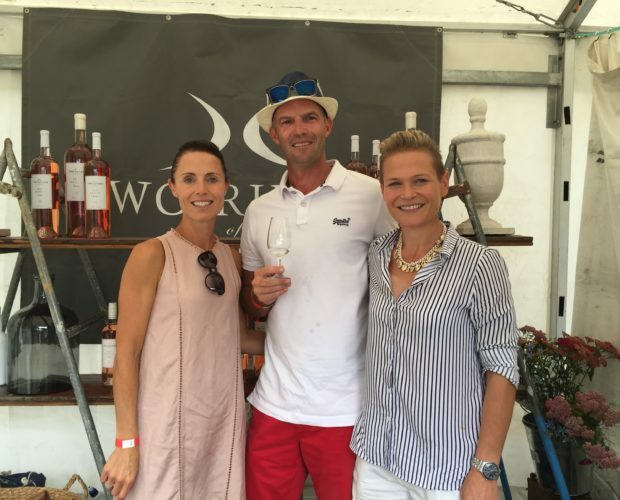 If you haven’t been to the festival – you absolutely should http://wine-marlborough-festival.co.nz/. And if you’re a regular, make sure you come and say hi. 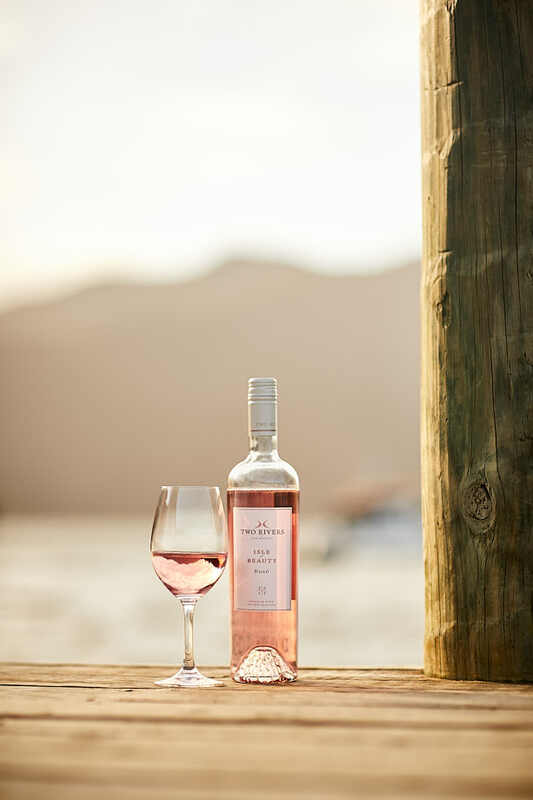 Two Rivers Rosé is one of New Zealand’s most awarded rosés and has claimed the top spot in Cuisine Magazine for three out of four years. With great pedigree and a huge domestic following, the wine sells out each year. 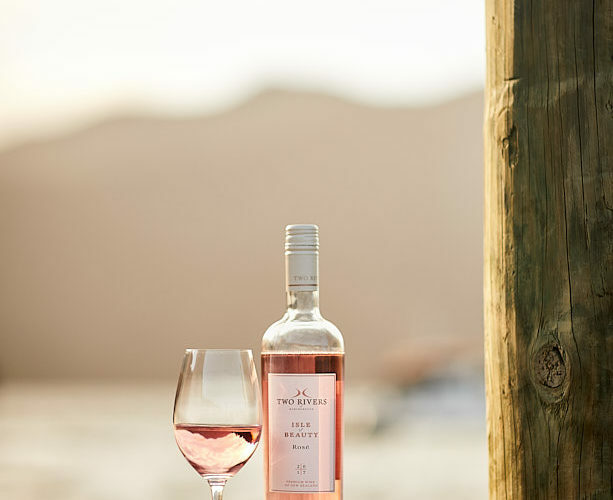 After six months with no Two Rivers Rosé in the cellar, the 2017 vintage is set for release on the 1st September 2017. Mediterranean in style, the 2017 vintage has fresh herb aromas of thyme, tarragon and dill overlaying nuances of orange blossom and mandarin. The zesty palate exudes fleshy tangelo, citrus and peach with a touch of wet stone. The wine is perfectly poised, delivering a briny fresh, clean and dry finish. An ideal pairing with all Mediterranean cuisine. Available 1st September – while stocks last. The largest and most influential international wine competition in America, the San Francisco International Wine Competition (SFIWC) has been setting the standard for professional wine judging since its debut in 1980. “Outstanding; earning top marks from all judges”. 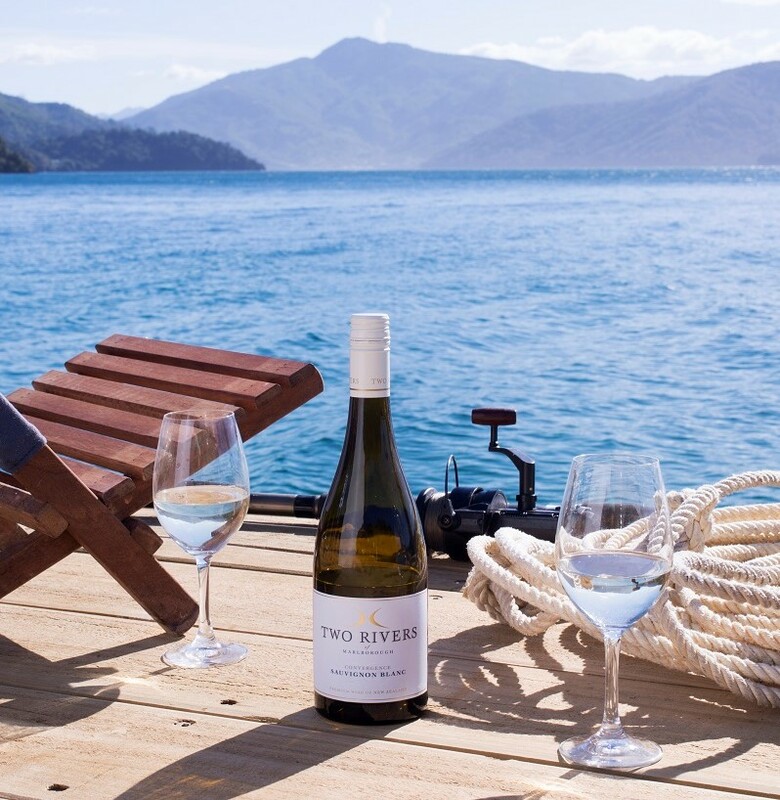 Two Rivers has been making sauvignon blanc since the winery’s first vintage in 2004. Their flagship wine, ‘Convergence’ Sauvignon Blanc, has enjoyed international success for years and winemaker/owner David Clouston believes sauvignon blanc should be cherished. 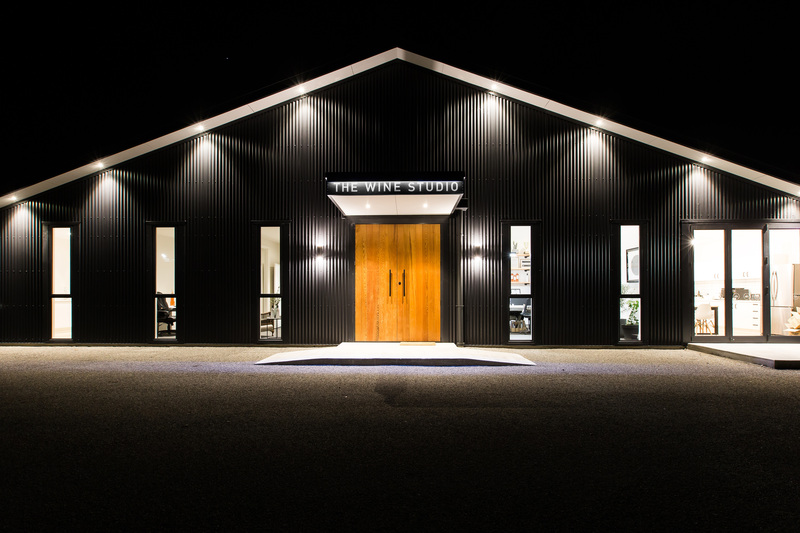 “Our mission is to select the finest parcels of fruit from the banks of both the Wairau and Awatere Rivers to craft wines that capture and emphasise this region’s intense power. The fruit for this wine is sourced from five separate Marlborough vineyards, each bringing a unique flavour spectrum and giving an abundance of fruit profiles to work with. The wine is then aged on fine yeast lees for 3 months, increasing the texture, complexity and mouth-feel of the palate, making a more age-worthy and food-friendly style”. 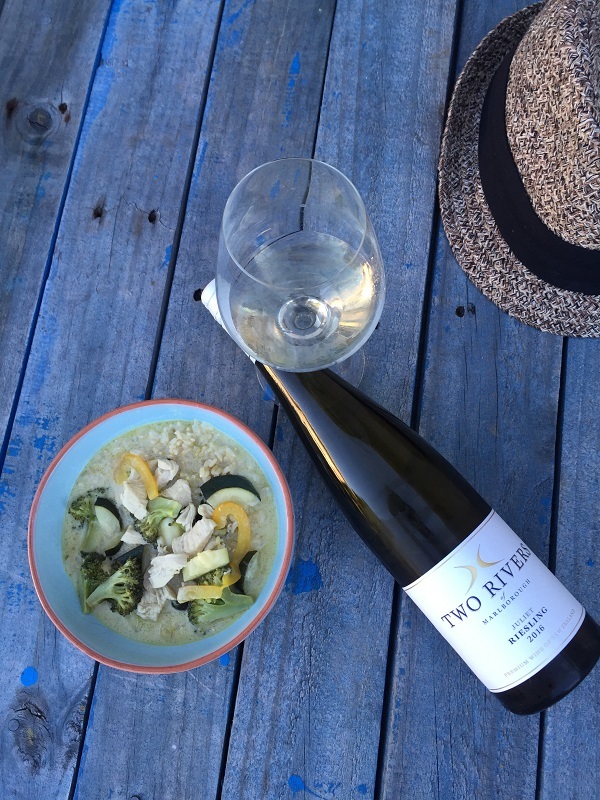 Two Rivers ‘Juliet’ Riesling has always been a wine with great purity of fruit in an off-dry style but in 2016 the winemaking team wanted to step it up a notch. 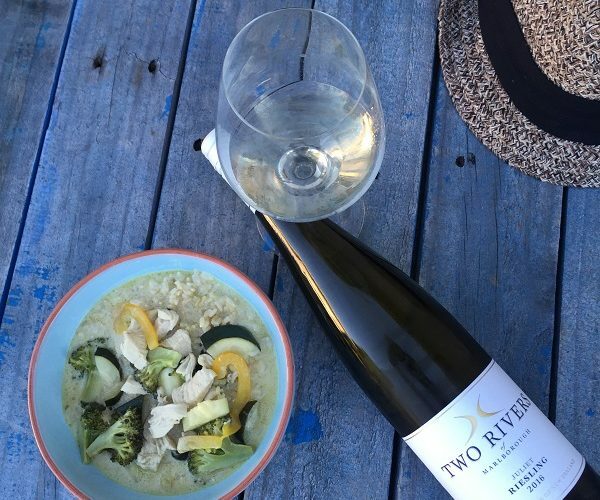 “We wanted to experiment making a Riesling with more texture and greater aging potential, while retaining fruit purity and balance.” notes owner/winemaker Dave Clouston. The fruit was all hand harvested from the Two Rivers Brookby Hill Vineyard in the Southern Valleys. The two Riesling blocks on this vineyard ripened at different times so the blocks were harvested over multiple picks, nine days apart. “The fruit off the first block was very floral and delicious tasting,” recalls production winemaker Sanna Stander. “While the grapes off the second block seemed more complex with greater palate weight.” The two portions were fermented separately and stopped when the acidity and sugars were perfectly in balance. The two portions were then blended together before resting on lees for four months.